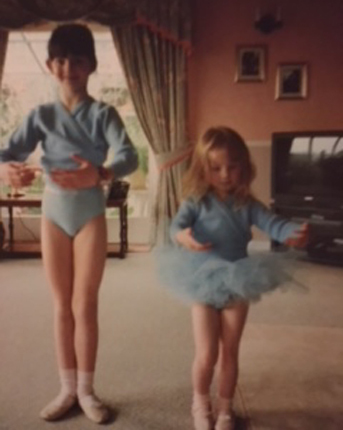 Jo began dancing at the rather early age of two, when convenience required her to be taken to classes at the same time as her older sister. Immediately finding her passion she went on to train intensively in Tap, Jazz, Modern and Ballet. Whilst studying History, she began her ISTD teaching qualifications, and upon graduating, combined teaching with auditioning and performing. She was quickly employed at a variety of schools and studios across London and, once committed to teaching full time, took on the next level of qualifications. In 2012 she fulfilled her childhood ambition and opened her own school – Clifford Studios - in her grandfather’s name. The excellent exam results achieved by all pupils Jo has entered is testament to her skills as a teacher. In 2009 she added Pilates teaching to her repertoire and in 2015 she added Barre. Both have enhanced her ability to train pupils to a high standard and she is now taking on the challenge of her Licentiate study in Modern, with the intention of training teachers. Jo finds teaching both fascinating and fulfilling and continues to further her study of dance education via the ISTD and through her ongoing Pilates training. Lucy discovered a love for dancing at a young age; training and passing exams in Tap, Modern and Jazz. Ballet however has always been her real passion and, in 2011, she was delighted to be accepted onto the BA (Hons) Ballet Education course at the Royal Academy of Dance. After graduating and receiving Registered Teacher Status, Lucy continued her work at the schools she was placed at during her training as a qualified teacher. In 2016 she was made a Tutor + Examiner on the Certificate of Ballet Teaching Studies course meaning she mentors aspiring teachers. We are lucky to therefore have had several student teachers at Clifford Studios. Since September 2017 Lucy has divided her time between London and Oxfordshire as she was honoured to have been asked to take over the school she herself trained at as a child; the Kinecroft Academy of Dance. Lucy is committed to developing and progressing the technique of her students at all levels, and finds encouraging enjoyment and creativity in her pupils extremely rewarding. 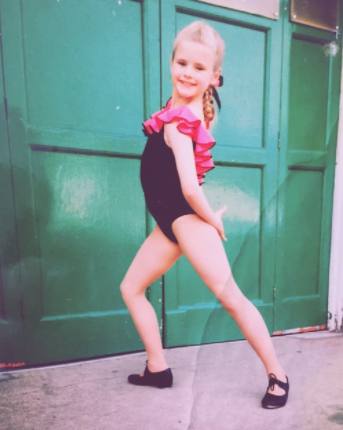 Ellis began her training aged 3, studying Ballet, Tap, Modern + Jazz (in her later years being taught by Miss Jo). During this time, alongside studying the ISTD + RAD syllabuses, she appeared in numerous professional productions. These included the UK tour of Evita, Spiller’s Pantomimes (Junior and Senior dancer), Paper Moon Company (Music Hall at Leicester Square Theatre and Trafalgar Square), Kingston International Youth Arts Festival and the 100th anniversary gala performance of Wimbledon Theatre. Ellis has been an assistant teacher since the age of 15, embarking on her official teaching qualifications in 2014. She has now achieved her ISTD Diploma in Dance Education in both Modern and Tap and is continuing to further her teaching qualifications at DanceTeachers Inc alongside teaching at various schools in Surrey. In 2016 Ellis took over the teaching of the Adult Tap classes and in 2017 also took on a Barre qualification. She loves teaching the parents of her dance students and enjoys the variety of classes she now offers. Combining traditional techniques and cutting edge styles, AJ has made a massive impact on an international dance scene including Poland, Finland, Switzerland, Luxembourg and Ireland. After successfully completing her MA in choreography back in Poland she moved to the UK to pursue her love of dance. Over the last decade AJ has inspired hundreds of young dancers and encouraged them in their dance path. Not only has she choreographed multiple hip-hop theatre productions she also worked with acclaimed dance names worldwide which led her to being invited on as a guest assistant choreographer on ‘So You Think You Can Dance Poland’. After a successful stint in Finland with Danceteam International AJ became a head of Danceteam UK, where she gets to share her creativity and continues to inspire young generations.